Christmas is one of our favorite holidays all throughout the year . Most Kid’s favorite part about Christmas is opening presents . Holiday Books can be great a resource to teach our kids the essence of Christmas. After all the presents and other materialistic things don’t last , it is the memories that last forever . Today , I’ll be sharing an incredible list of kids Christmas books that focus on Christmas Wishes ! Christmas is the time when we celebrate and share goodness with others. It is also a chance to make wishes come true and to give something from your heart . The list of books I am sharing here are Heart warming stories showing that people , love and kindness are more than any material things . I have chosen Christmas wishes picture books that are suitable for elementary age kids . This post is a part of the Jenny Evolution Winter and Holiday Children Story Book series. More than 30 bloggers are contributing by posting winter and holiday themed book lists. Click on the link to take you to a huge list of topics to find other awesome books for this season. JYFI.. the above Amazon links are not affiliate .I have included them for your convenience to purchase and refer reviews . If you like any Christmas book about wishes , which is not included above , let me know in the comments below . I would love to hear ! Happy Reading and Advance Christmas Wishes ! 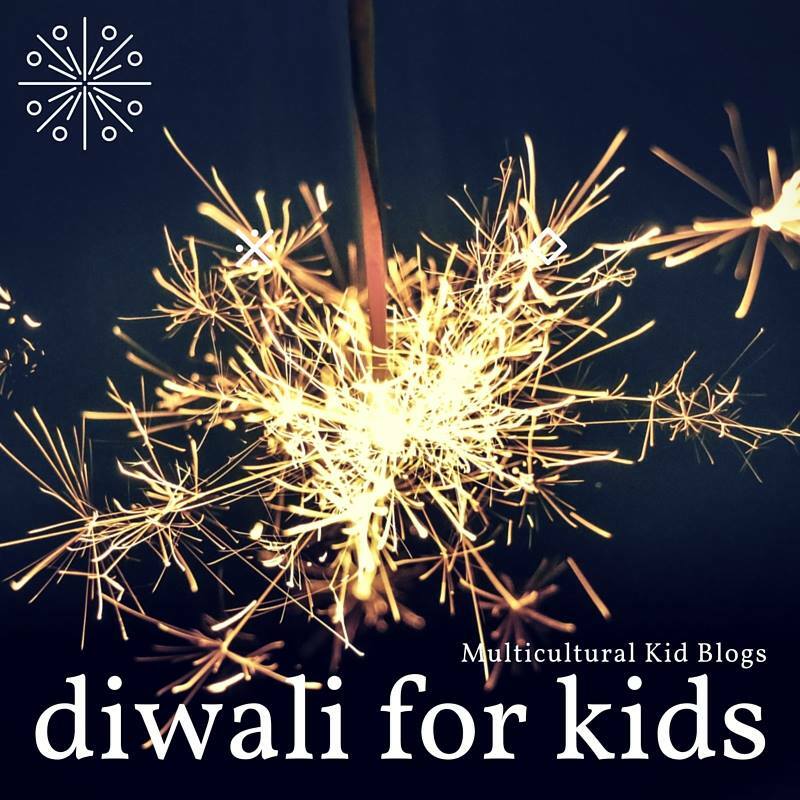 Diwali is one of the most important and colorful of the Indian festivals. It is a festival of joy , splendor , brightness and happiness. No matter which part of the world we live , Diwali is celebrated with great enthusiasm by Indians . During Diwali , people decorate their floors with Rangoli . This patterns are generally made with white powder or rice flour ,chalk, colored sand or flowers . The traditional Rangoli making is tough outdoors because the weather is chilly at this time of the year especially for us on east coast of United States . Keeping all this in mind , I wanted to create something that is colorful , not a lot of mess while making and easy for kids to understand . That’s when I came up this idea of Paper plate Rangoli , it can be made well in advance and reused every year too. Use a pencil to draw any Rangoli design on Paper Plate. Once you are happy with your design , use Ikea paints to make outlines . It’ll take few hours for the paint to dry . After the paint dries , use color sharpies to fill in the spaces . Now go ahead and add Rhinestones randomly or symmetrically wherever the design requires. The beautiful and colorful Paper plate Rangoli is now a perfect Diwali décor ! Adding an extension to this activity is to arrange flowers around the paper plate Rangoli making it more elegant and colorful. Lessons learnt : Rangoli making using paper plate , paints and decorating with flowers needs creativity and thought process . Drawing Rangoli designs helps them learn the concept of symmetry. They color symmetrical, so that both sides of the design are same colors . Last but not least ..Learn about rich Indian culture and the history of Rangolis . We‘re excited to share with you with the launch of this wonderful book The Unofficial Guide to Learning With LEGO®! Here’s a little about the book. A few of my fellow bloggers came up with great ideas to play with LEGO® Bricks and launched their book on July 5th, 2016. The book has a collection of 100 activities using LEGO® Bricks with colorful pictures that will attract kids instantly. It is a great resource for kids to learn Fine motor skills, Problem solving and STEM activities using LEGO® Bricks. The instructions are very simple and easy to read; even my 8 year old was able to follow. There are activities for every age group, right from toddlers to elementary age kids. We were lucky to get a free sneak peek copy to try and my little one couldn’t wait to dive in. Honestly, he wanted to do everything in the book except for the sorting and counting ones .He said “Mom ,these activities are for toddlers .” We tried a couple activities and here I share one of our favorite activity from the book . Ask your child to build a boat that can hold the most pennies .They can design a boat of their choice using any variety of LEGO® Bricks. My son spent some quality time in designing his boat. Fill the dish with enough water for your boat to float and later add pennies to your boat. Now count how many pennies your boat can hold. The more coins we added ,the boat became heavier and sunk in . My son was totally engaged in the process for couple of hours .I thought it was perfect for Summer time learning . Lessons Learnt :This activity helps children develop skills in Science, Math, Problem Solving and Engineering. If you have a LEGO® Fan in your house, I am sure you wouldn’t want to miss out on these 100 hands on learning activities from the book. To purchase the book now through July 12, you can get The Unofficial Guide to Learning With LEGO® ebook on sale for only $11.95 (regular price $14.95 ! You can also purchase a copy of real book at Amazon for $24.95. If you get it through Amazon, be sure to email one of the authors, Nicolette, a screen shot of your order and she’ll send you your 100 free printables but remember this offer is only until july 12th. (Send your email to nicci @ learnandplaywithbricks.com.) You can do the same with your Kindle order ($14.95), too. Check out the video showing few activities from the book in action ! Disclaimer : LEGO® is a trademark of the LEGO Group of companies which does not sponsor, authorize or endorse this site”. My son reads a lot of Roald Dahl Books and One of his favorite is The BFG. We received this Book as a birthday gift last year. On the book was sticker that read.. soon to be a Steven Spielberg Film . We love this book and now that its made into a movie ,we’re even more excited to watch the film. The talents of three of the world’s greatest storytellers – Roald Dahl, Walt Disney and Steven Spielberg – finally unite to bring Dahl’s beloved classic “The BFG” to life. Directed by Spielberg, Disney’s “The BFG” tells the imaginative story of a young girl and the Giant who introduces her to the wonders and perils of Giant Country. “I think it was kind of genius of Roald Dahl to be able to empower the children. It was very, very brave of him to introduce that combination of darkness and light which was so much Disney’s original signature in a lot of their earlier works like in ‘Dumbo,’ ‘Fantasia,’ ‘Snow White’ and ‘Cinderella,’ and being able to do scary, but also be redemptive at the same time and teach a lesson, an enduring lesson, to everyone, it was a wonderful thing for Dahl to have done, and it was one of the things that attracted me to want to direct this Dahl book,” says Spielberg. As the weather gets better , my son loves to play outside .One of his favorite pastime is sidewalk chalk .He enjoys to write , draw and scribble using color chalks. This inspired me to make our Chalkboard stepping stones. They make a great statement in the garden and encourage in writing interesting thoughts. First step is to Paint the Saucers using outdoor friendly paints .It is a simple project , kids can work with a little help. My seven year old was able paint the saucers all by himself and he gave 2 layers of paint for each saucer with one hour interval.It kept him occupied for couple of hours. Later, We painted the inner circle of the saucer using chalkboard paint leaving nice color border. Once all the paint is dry , we can add personalized message using chalk . Tips and Tricks : Before you place the saucers in the garden , pack them nicely with soil underneath , so its heavy and strong. Terracotta plant saucers are easily available in craft stores or any garden stores. Its surface is smooth and easy to work with chalkboard paint . Lessons Learnt : Let’s see what Kids learn working on this project . Choosing colors – My son chose his favorite colors to paint ( red , orange and yellow ). Decorating the garden and spending more time outdoors . Decorate the garden with these easy DIY chalkboard stepping stones. 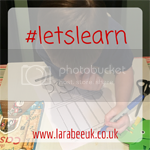 I’m joining in with my friend, blogger the lovely LarabeeUK‘s fantastic Kids in the Garden Blog Hop with 13 other bloggers. 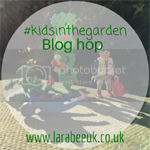 There is also a linky if you would like to share your own Kids in the Garden posts.